Happy Valentine's Day! Hope your day is filled with Love, Joy and Kindness. This is America, back to share a sparkling LOVE themed card. 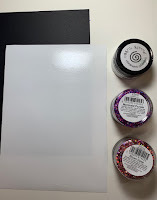 Holographic Glitter, Gilding Polish, Silver lines Ribbon, Silver Flat-back gems. 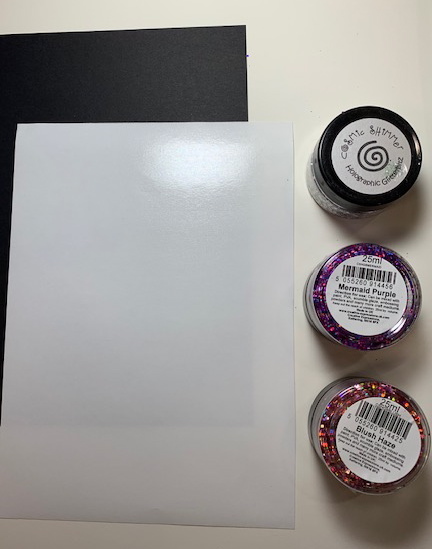 Randomly sprinkle Holographic Glitters in 3 colors (or any other types of sparkling glitters) onto a black cardstock paper that's been covered with a double-sided adhesive sheet to adhere the glitter. 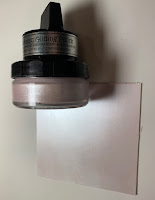 Polish a piece of white cardstock with a pink gilding polish. 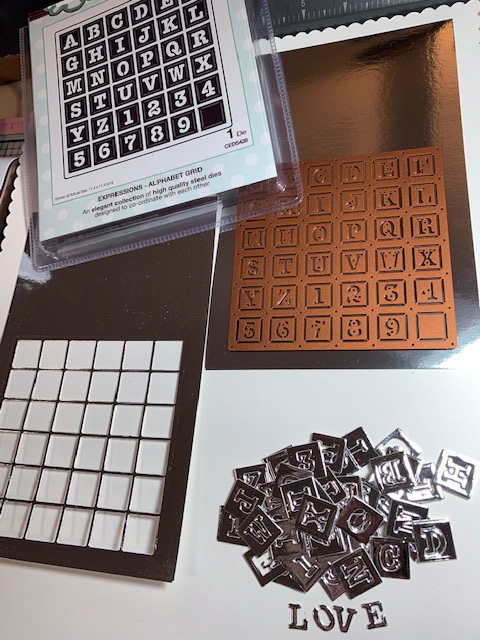 Die-Cut the Alphabet Grid to use for the background 4 times out of silver mirrored cardstock and adhere all the frames together. 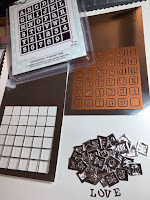 Save the square letters that are cut-out from these Alphabet Grid frames to use on other projects. (both the negative and positive cuts are great to use). Ive saved these and only used the negative LOVE letters here. Cut a square piece of acetate and adhere it behind this framing. Cut a strip of vellum to place across the frame panel and adhere behind the edges. The sentiment will sit on top of this vellum strip. Die-Cut and dry emboss various Tranquil Poppy flowers from the white, green and the Polished Cardstocks. These are then trimmed, layered and adhered. Assemble a floral spray by adhering together and alternating the different poppy flowers and fern fronds. Die-Cut the Pierced Flags and adhere the LOVE letters onto the layered flags that sit on foam adhesive over the vellum. Make a bow to place at bottom of floral spray that is parallel to the sentiment. Final touches are the silver flat-back gems on the corners and sentiment flag. That's it! Hope you'll give these ideas a try! This is absolutely lovely! 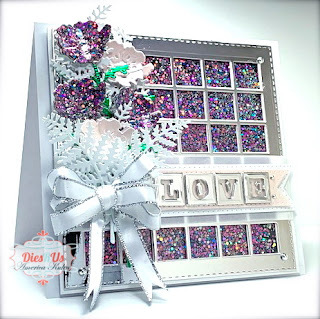 Love how you made the halographic paper and the effect it creates behind the window. Just beautiful! Very sparkly card, great job. Wow! Love all sparkle! Fabulous card! WOW! This is stunning! I love all the sparkle! Holy amazing sparkle! What a beauty! 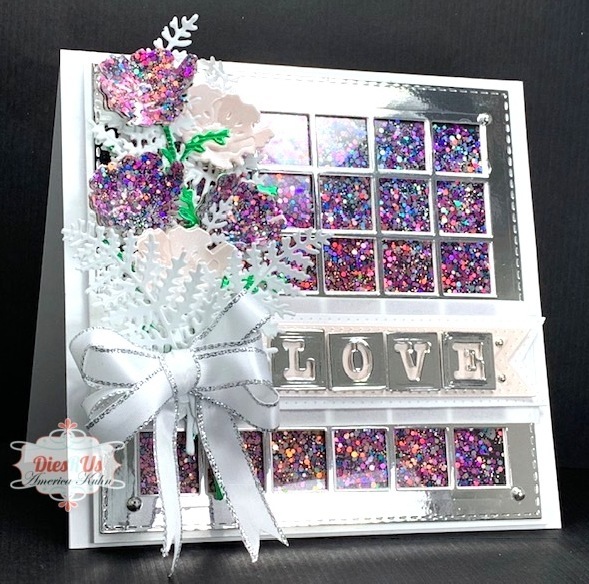 What an amazing, sparkly, card!